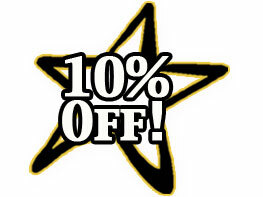 "The Physics of a Perfect Clean"
10% Off Online Estimate Requests - Receive a 10% discount off of regular pricing for any residential estimate request for high pressure cleaning solutions for your home or personal property. The guaranteed written price quote will be delivered to you within days. Not valid in combination with other offers or previously written quotes. Residential only. 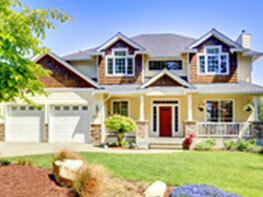 Bring your homes exterior back to life! You probably don’t realize how dirty your home’s exterior really is. Professional hot and cold power washing of your home will bring back the clean, vibrant colors you probably forgot existed. Other applications include concrete and asphalt surfaces, roofs, ice dam removal and much more. 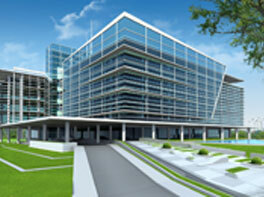 A well maintained building is a sign of success and inviting to customers. The need for high pressure cleaning solutions goes well beyond a building’s exterior. Equipment, vehicles and hard surfaces are just a few of the possible applications. It’s not just the pressure, the heat and proper detergents are the key! Interested in owning your own business? Consider joining a dedicated team of pressure washing professionals. 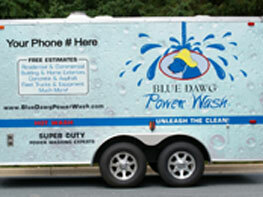 Blue Dawg is part of highly ranked franchising group that has been in business for over 25 years. There is more demand for expert pressure washing than most people realize. Protected territories are available across the U.S. and Canada. No experience necessary. Blue Dawg understands the physics behind effective power washing and will create the perfect combination of pressure, heat, and detergents for the perfect clean. Blue Dawg Power Wash® is the national leader in professional pressure washing services. We bring our state of the art pressure washing equipment, detergents, and cleaning techniques to the front door of your home or business. While the high pressure is important, the choice of detergents and ability to use hot water or even steam is the key to most cleaning challenges. Just like cleaning dishes in your kitchen sink, hot water and soap cleans better and faster than cold water alone. Applications include: home and building exteriors, roofs, asphalt and concrete surfaces, fleet vehicles, brick, stone, paint prep, decks, awnings, construction equipment, swimming pools, and much more. © 2010 - 2019 Blue Dawg Power Wash. All rights reserved. All rights reserved.